Welcome to Om Industries. S.S Equipment presents itself as a well-known supplier of stainless steel products like turn table, conveyor table, S.S Furniture, tool box in Bangalore. Owing to the presence of our expert team members, we have been able to offer a wide range of Dynamic Pass Box. 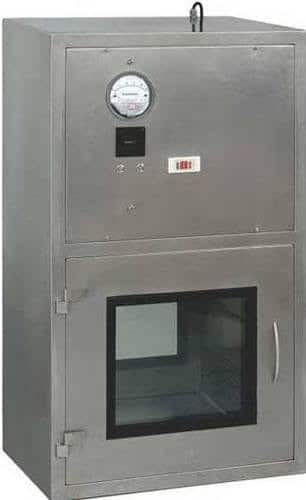 Dynamic Pass Box is widely manufactured out with powder coated high grades stainless steel in the cities of Bangalore like Sarjapur Road, Whitefield, Bannerghatta Road, Jayanagar. In addition to this, there is also integrated an interlock guard system in the box that makes sure that the inlet and the outlet are not opened at the same time, in order to prevent. We are also considered as steel furniture manufacturing company. Our company continued pathway evidence of delivering superiority products customized as per customer’s need.